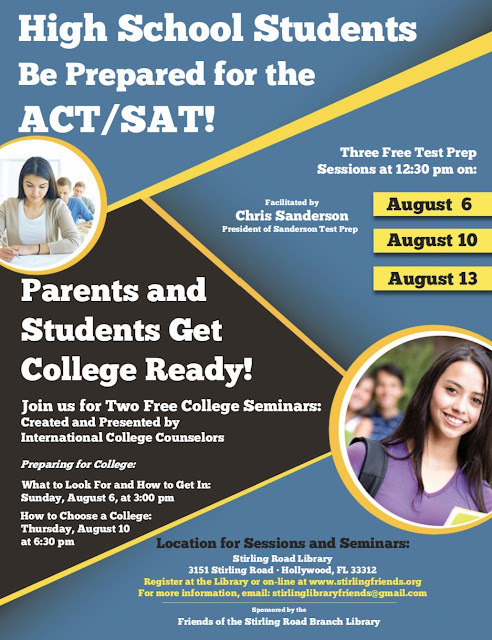 We are thrilled to announce our partnership with Sanderson Test Prep will bring another season of ACT/SAT preparation to Stirling Road Library! In addition, we are also partnering up with the International College Counselors for two college prep seminars. Pre-registration is necessary, so check out the details and sign up by sending us an email with your name and contact information. This program is free to the public thanks to the many contributions of our members.